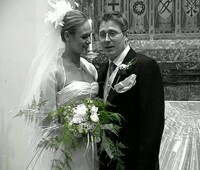 We are just writing to extend our thanks to you for the fantastic DVD coverage of our wedding. We had an absolutely amazing day and this footage that you have caught and the way in which you guys have put it together, has made a truly magical DVD! WOW is all we can say. Thanks once again and we will certainly recommend you to others. 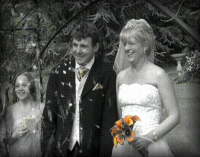 Just a quick note to say how fantastic the wedding DVD turned out. Thank you very much for not only the great coverage of the day, but also brilliant editing and layout of the completed DVD. The extra background music you selected was spot on and we couldn’t have picked better ourselves. In fact it was as though you could read our minds. The closing credits were also a stroke of genius and we both feel that you completely captured the feeling of the day. We look forward to viewing the DVD again and again so thank you again for all your talent and hard work. 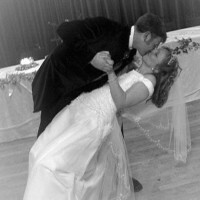 Just to say ‘thank you’ for doing our DVD for our wedding. We have shown it to many people now and still get a lump in our throats and a tear in our eyes - it is so good. It has totally frozen in time our day and has surpassed everything we hoped for. Thanks again. Just writing to say the DVD of our wedding was fantastic, its amazing how you seemed to be in ten places all at once, we really enjoyed watching it (ten times over)!! We were really impressed with the time you took to take as much information from us to get a picture of what was important to us, which was then all reflected in the DVD. Scott and I felt as though we were having our special day all over again when we watched it. The DVD is priceless to us. You both instilled confidence in Scott and I with the work that you did. We will highly recommend your services to our friends and family. We finally received the copies this week (the package was too large to fit through our letter-box, and I was only able to get to the post office earlier this week). We were very grateful for the additional copies you sent us. It was a wonderful gift and we were very touched. Once again, thank you so much for a wonderful job, and rest assured we will be in touch when we plan Charlotte’s Christening! Just to thank you both so very, very much for being there on the most important day of our lives, and capturing our memories so very well. We still can’t stop watching our DVD and take great pride in seeing people’s faces as they watch it with us. You really have done a remarkable job, even the way you have put our music choices along the footage is perfect! - we are blown away every time we watch it, so THANK YOU so much, it was worth every penny! ... We love the DVD & still watch it regularly - thanks! Just letting you know that we were very pleased with the DVD - we watched it twice last Sunday when we finally got home. We are so glad that we agreed to have a video done. Both our mothers and my sister cried when they watched it! Now we’ve watched the film we’d be really upset not to have it. When you are on honeymoon you just want to relive the day all over again and that’s where your DVD comes in. As for the Montage - wow! Thank you so much for the wedding DVD. 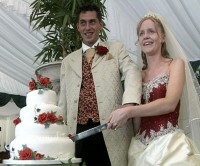 It is without doubt the best wedding recording we have seen. We all enjoyed the day and glibly said ‘A day we’ll never forget.’ Now with your DVD we know we will always be able to review those moments which were so special to us all.